Dr. Kaufman welcome patients from Ocean Ridge to our practice in Boynton Beach, FL. An annual comprehensive eye exam is an important part of your overall health, and can detect eye conditions such as glaucoma, cataracts, or macular degeneration. Our optometrist treats dry eyes, and eye infections (such as pink eye). Of course, Dr. Kaufman treats all eye emergencies as well. 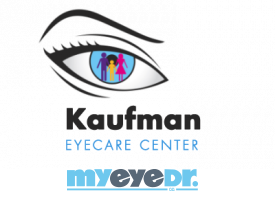 Children and adults are all welcome at the Kaufman Eyecare Center, where will will take care of all your optometry needs.